Vic Batista: I think it is because Gabriel was serving in the role of messenger. We see that again in the book of Revelation chapters 2-3 when Jesus addressed the angels over the Seven Churches. Christ’s messages to the Seven Churches often times would use different variations of the word for messenger, rather than another being. I am perplexed, though, by the “man” designation because when Daniel saw Gabriel’s appearance, for one, he had seen Gabriel before, and two, Gabriel was flying. Gabriel could have looked much like the Resurrection angels in their shining appearance. We always picture angels having wings because of the Four Living Creatures described in Revelation 4, but maybe Gabriel doesn’t need wings to fly, and just looked like a regular man, kind of like Superman. 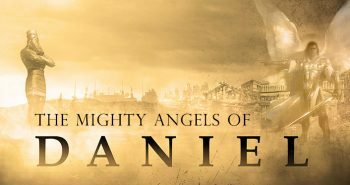 Nathan Jones: A surprise to some, very few of the angels in the Bible are described as having wings. Yes, there are the six-winged cherubim, which are the Four Living Creatures that stand before the throne of God, all covered in eyes. Angels don’t really have curly blond hair and wings and are wearing white robes, as children’s books portray. I can only speculated, but I believe Gabriel appeared to Daniel looking like a man so that he could better talk and relate to him. But, then, he is an actual angel. They rarely just knock on the door and come in. No, Gabriel flew in, which proved that he is lot more than just a plain old man, but someone Daniel needed to listen to. Vic Batista: Also of interest, primarily in the Bible, most of the angels looked like males. That could be why the passage described Gabriel as a man. He’s male-like in appearance so Daniel can relate to him. Remember that Jesus, too, flew at His Ascension. He was in His glorified body and didn’t need wings in order to fly. Are these two women actually female angels? Jesus tells us that the angels are neither married nor given in marriage, meaning that they are neuters. Angels are neither male nor female, even though they have male attributes and many physically look male. Biblically the angels are portrayed as masculine, but that doesn’t mean that they are men. Rather, they are angels. They are a totally different creature than man. Vic Batista: The Bible also portrays different types of angels that don’t even look human, such as found in Revelation 4 and in the book of Ezekiel. There are different categories of angels. Nathan Jones: Right, there is a hierarchy to the angelic realm. It goes all the way from the top with the Archangel Michael, though there may be other Archangels. 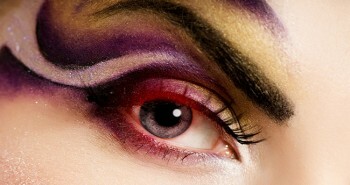 Lucifer, who we now know as Satan, was the mightiest of the angels at one time. He was the guardian of God’s throne. Then there are the cherubim, who are the Four Living Creatures who stand before God’s throne. There are also the seraphim who surround God’s throne and praise Him day in and day out. There are also the messenger angels. Warrior angels are ready to wage God’s wars. Weather angels moderate the earth’s climate. Physically, there are angels who appear like animals and as acts of nature. One angel is described as being so large he could step across the sea. Others are smaller and more man-sized. So, correct, the curly blond haired, blue eyed variety of angels are purely figments of our imaginations, for angels come in all sorts of shapes and sizes. Nathan Jones: Bear in mind Daniel was a Middle-Eastern Jew living in Medo-Persian controlled Babylon. He was surrounded by Persians, today called Iranians, who are a swarthy skinned people. If one’s first thought is that Gabriel showed up as a white guy, well that would have seemed extremely strange to Daniel. Gabriel as a white guy would have appeared extremely strange to Mary, as well, because in this area of the world, they didn’t really have much interaction with white people. White people were up in Europe and Russia and Tarshish, which was the furthest most parts of the earth. So, since Gabriel came in human form, we’d have to picture that he was most likely dark and swarthy. Vic Batista: We Westerners do often interpret the Bible through our Euro-American eyes. We should turn that around and think more Middle-Eastern. What was the culture like? What would the landscape look like walking down the road? What would you have encountered thousands of years ago? What would you have experienced? 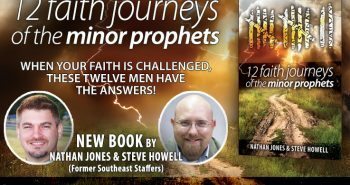 Nathan Jones: Picture the Bible in your mind based on the culture and time period. For Daniel, he was a Jewish Middle-Easterner. That means he wasn’t pale skinned like many of the European Jews we use as a reference point today. Rather, Daniel would have been darker in skin tone, surrounded by very dark Medo-Persian people. Therefore, Gabriel in his appearance as a man was likely recognizable as similar in race. Now, whether Gabriel always looks like that, who can say? I don’t know if the angels can change their appearances or not, as the Bible just doesn’t say. We do know, though, that the Angel of the Lord — the preincarnate Jesus Christ Himself — came as a man. He talked to Abraham and when He showed up to Moses from inside the burning bush. There are other different occurrences in the Bible when the Angel of the Lord certainly changed His appearance at different times. Whether angels can change their appearance? That is a good question we won’t know this side of Heaven. Vic Batista: Angels are not chubby little babies playing on clouds and shooting heart-shaped arrows. Not true! Nathan Jones: This whole myth of Cupid really has really affected the way we picture angels. We’re so used to portraying angels as fat babies with tiny wings who are holding up ribbons proclaiming Valentine’s Day. Totally unbiblical! I don’t know what those Renaissance painters were thinking. There is nowhere in the Bible where angels are chubby little babies floating around on the clouds. Pure imagination! Vic Batista: Angels are mighty warriors, thousands of years old or even older, and not perpetually helpless babies. One story from the Old Testament tells of some 185,000 enemy troops effortlessly wiped out by God’s mighty angels. And it’s a good thing that the angels are indeed mighty, for all God’s children have angels who have been assigned to protect us. I often times say that the way people drive in my hometown of Miami, some of us need three or four angels protecting us! 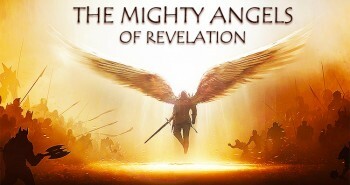 In the seventeenth segment of this series on the mighty angels of Daniel, we’ll look at how we are to deal with such a difficult passage as Daniel’s Seventy Weeks prophecy. Just finished 19 videos on Daniel. I never knew how powerful that book is. I’m a life long christian and thought I had most of the Bible figured out. When witnessing to my friends that are nonbelievers I have trouble with the age of the earth. I used to believe in the time gap theory but Dr Regan says the earth is 6000 years old. How can that be? Doesn’t the fossil record go back further? Great resource for all things Creation Science is http://creationtoday.org/ and http://www.icr.org/.